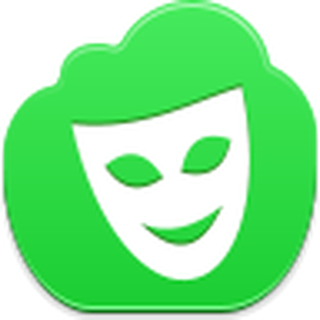 VPN Plus is also purely anonymous, users DO NOT need to sign up and login to use this VPN service. 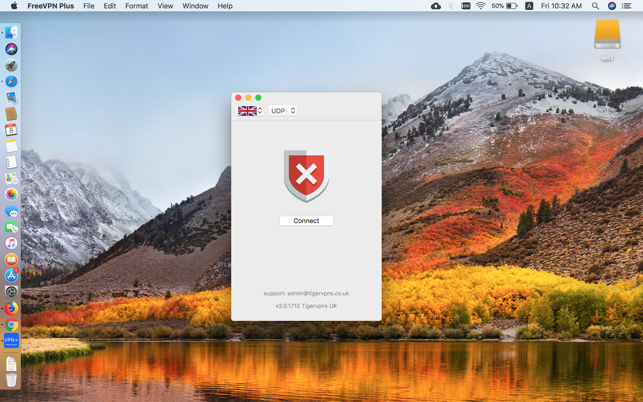 Starting from macOS 10.11, Apple allows third party developers to build more powerful VPN solution than the traditional “Personal VPN” solutions including L2TP, Cisco IPSec and IKEv2. Apple calls this technology Enterprise VPN, or Network Extension Tunnel Provider. VPN Plus is such kind of thing. It defines its own protocol, and makes VPN faster and more secure. 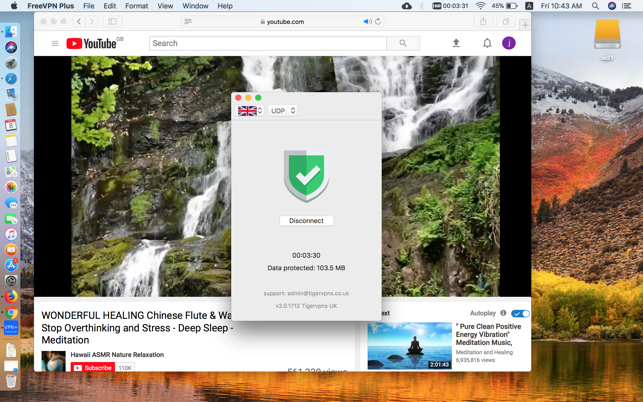 Using VPN (virtual private network) technology, all user data can be encrypted, including web browsing in any browser (Safari, Chrome, Firefox, etc), file download, email, chat, game, online banking service, and so on. Your IP address is also changed when VPN is turned on. This gives you additional protection against geo-location trackers. Most WiFi routers have the capability to analysing user traffic, for example, which site you are accessing right now, how many minutes you spend every day on a particular web service. VPN Plus can not only encrypt your traffic, but also hide everything about your online activities as well. As you may know many services are only available to domestic users. Even though you are subscriber of such service, you will not be able to access those contents when you are abroad. With VPN Plus, you can virtually come back, and thus get those contents without restriction. Also you can get more contents hosting in foreign countries. We also build another macOS VPN app based on personal VPN technology. Both apps have the same user experience, the only difference is on the VPN protocol. Let's make VPN Plus the best free vpn together. It’s a great program that’s free. I think the developers did a great job as it does protect you from any overwatch. However that being said having the Free VPN popup come up constantly is annoying. It is also difficult to download files with the VPN running so it negates the usefullness of the program a bit. Sometimes I’m able to download quickly a file but mostly not and I haven’t yet figured out how or why it does so. One must always be aware that the app is running because it’s easy to sometimes download a file and it going well until you realize that free VPN isn’t running and you are probably exposed to being censored for downloading those files you’re not supposed to be downloading…know what I mean… That however is user error and not a fault for free VPN. So guys, what’s up. Just wanted to let you know that this is a scam :) It doesn’t work, it just a little pop up window with three place settings and another setting with two options. I don’t know what those are for, but not like it matters because any combination of the three does nothing! Not two surprising though, do your homework and you’ll see that this company has actually released two other VPN apps, both of which are rated at 2-3 stars. So, I just guess this whole company and supplier are a scam too! Word to the wise, be smarter than me and the rest of the people who downloaded this app, and don’t. Have a great day everyone, unless of course you’re a horrible person, then I hope you get sued big time money for a miner fender-bender and lose, that your hot food and beverages are always very cold very quickly, and that you step on a thumbtack. Bye! Very satisfied. You may occassionally need to reset connection because at times it may slow speed. I’ve only had to reset a couple of times in the spanning quite a few days. When I did need to the speed would be almost as fast as when not using it. Common sense design making it easy to start and stop as you please. Running program seems to interfere with Mail and trackers. But once app turned off Mail works normally again and you have to update trackers too. Also, ever since OS update app frequently disconnects. So probably an updated version is needed.